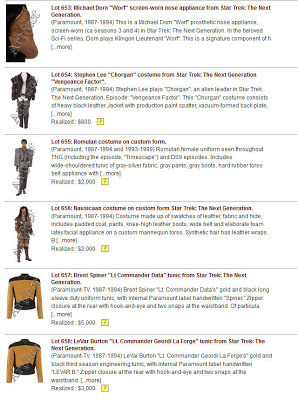 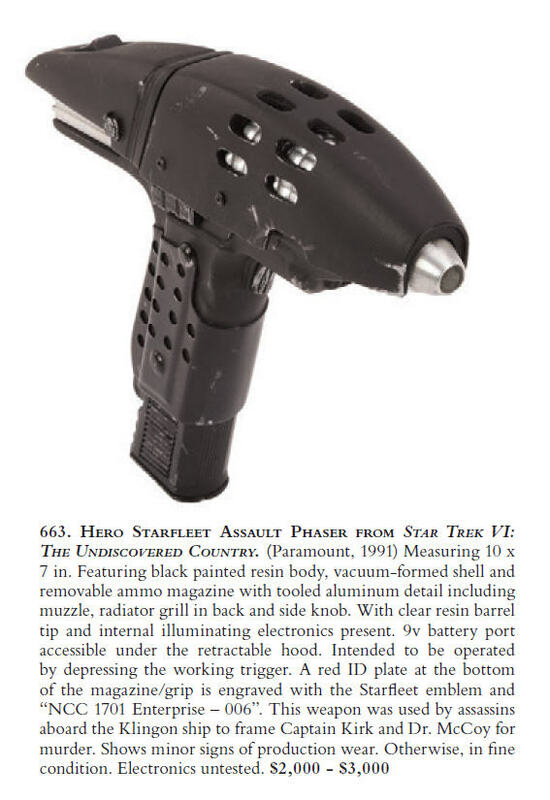 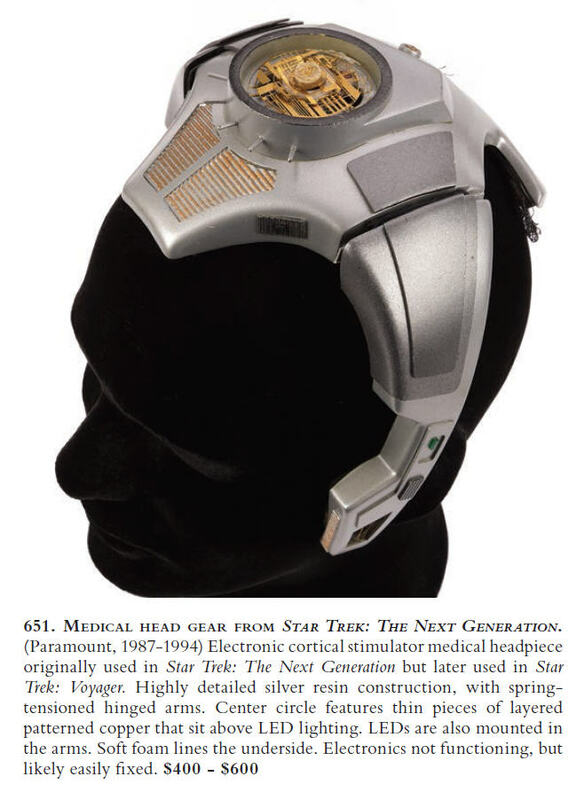 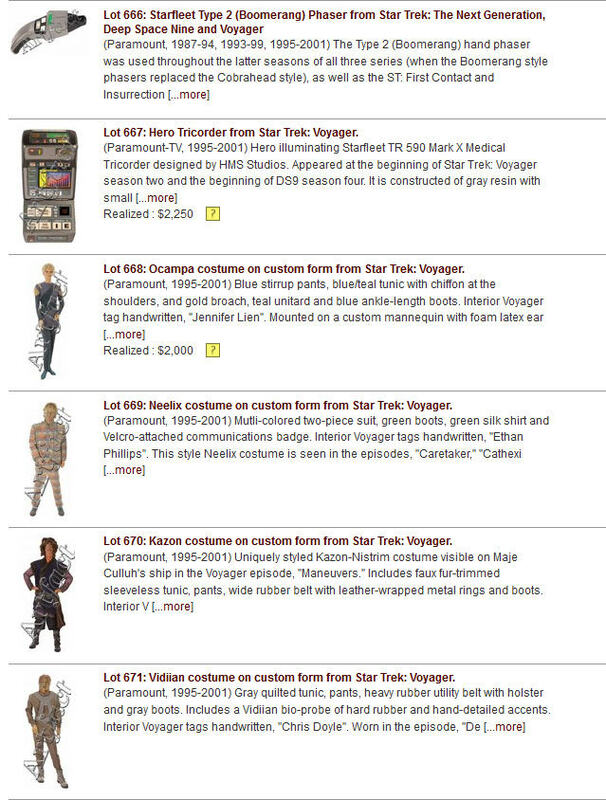 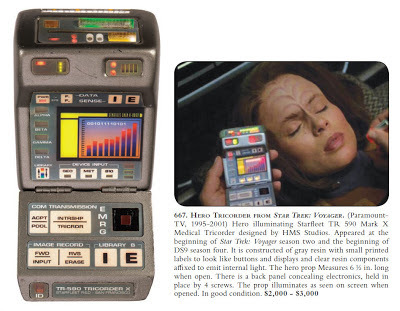 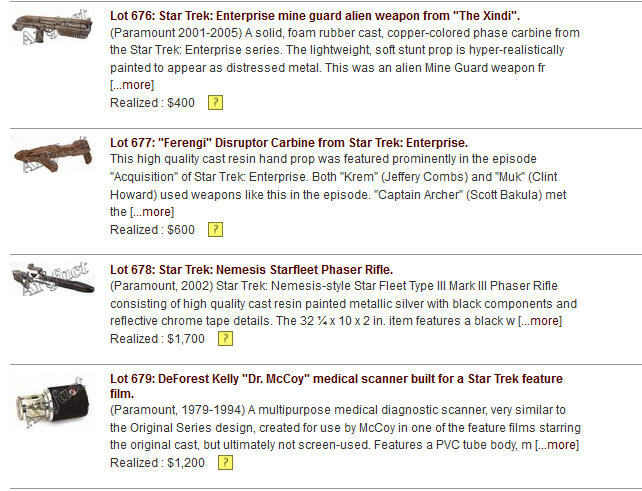 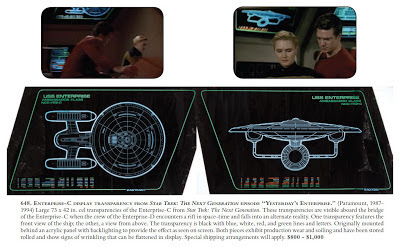 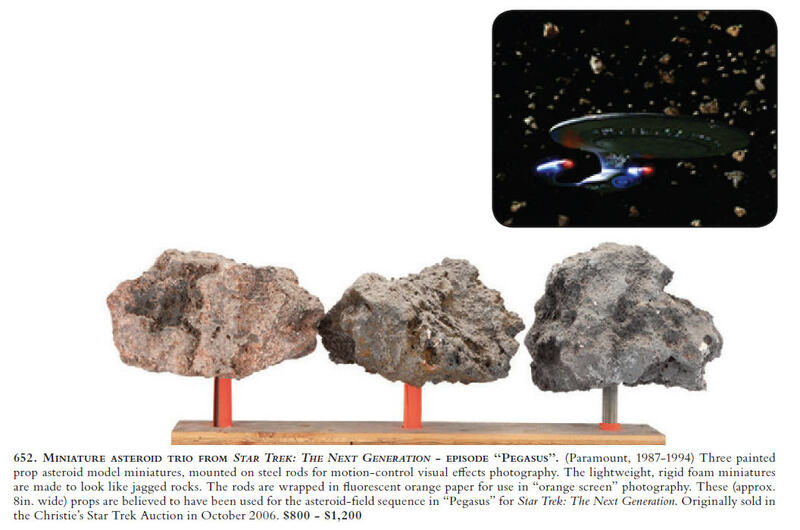 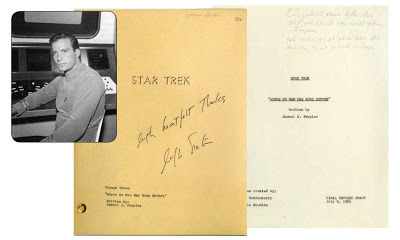 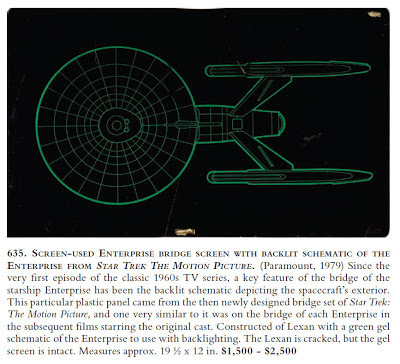 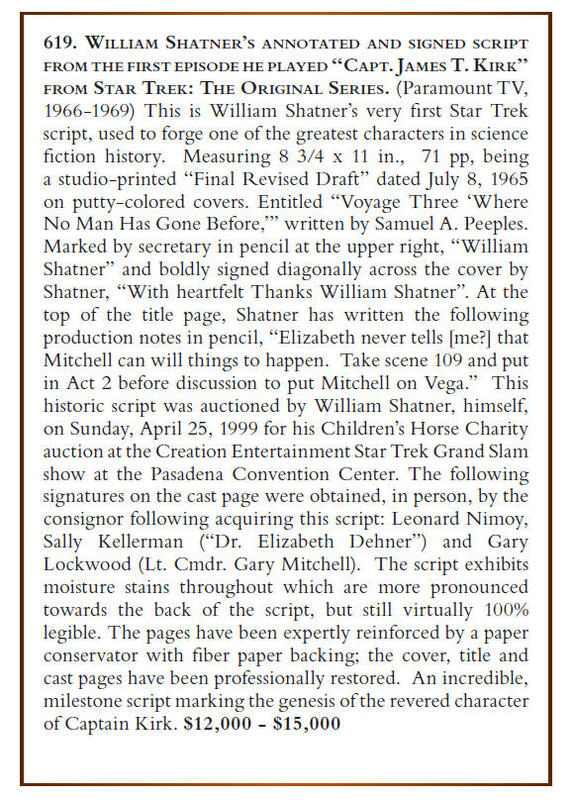 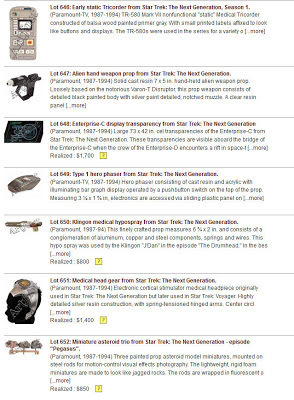 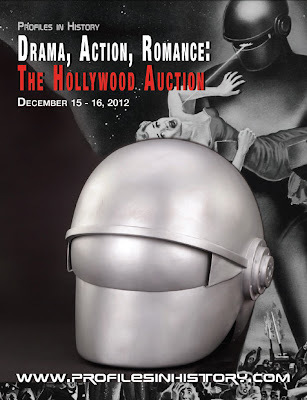 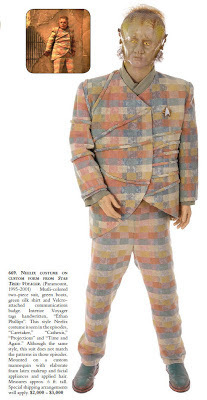 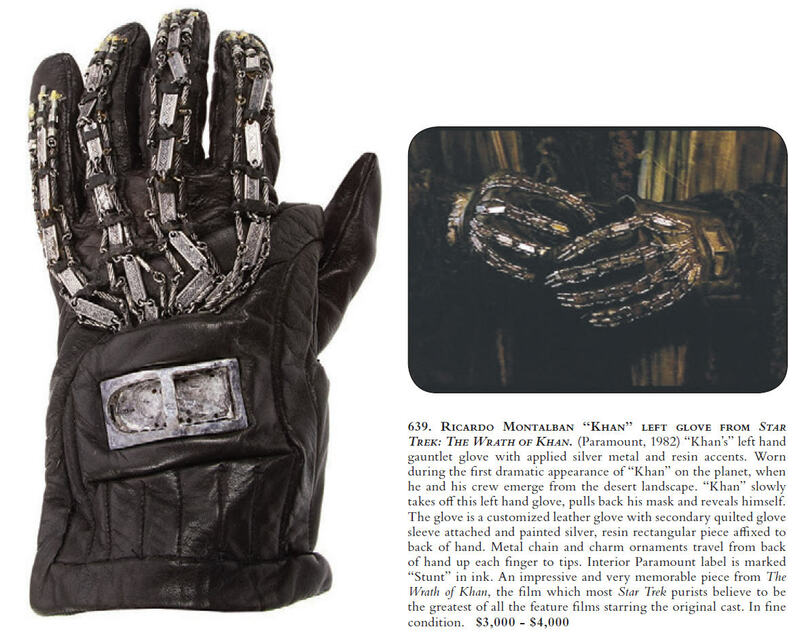 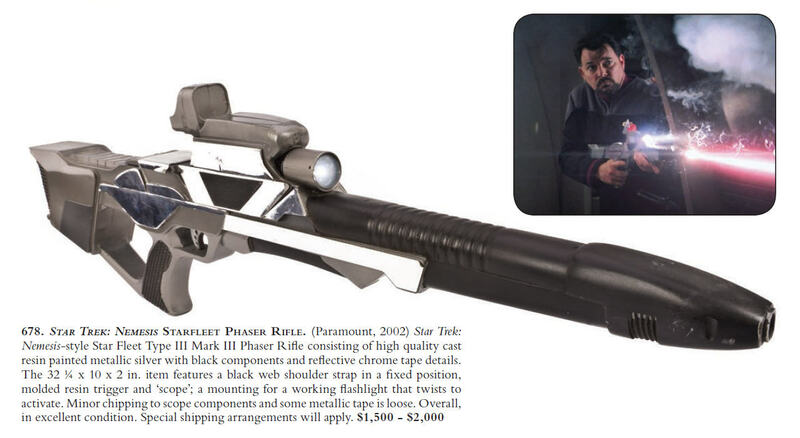 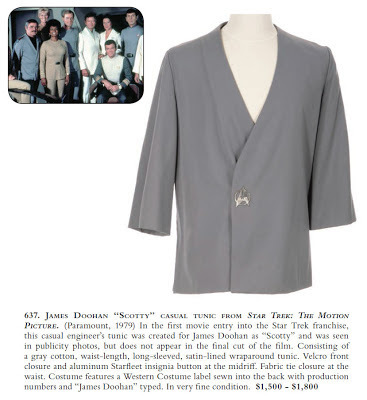 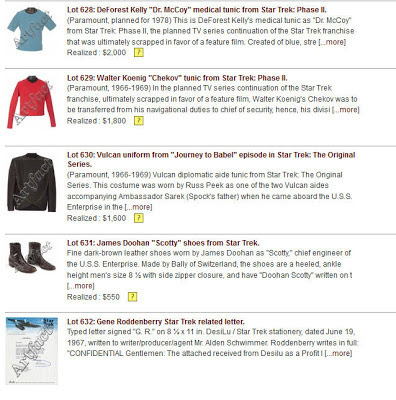 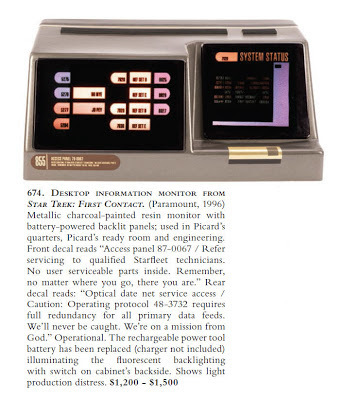 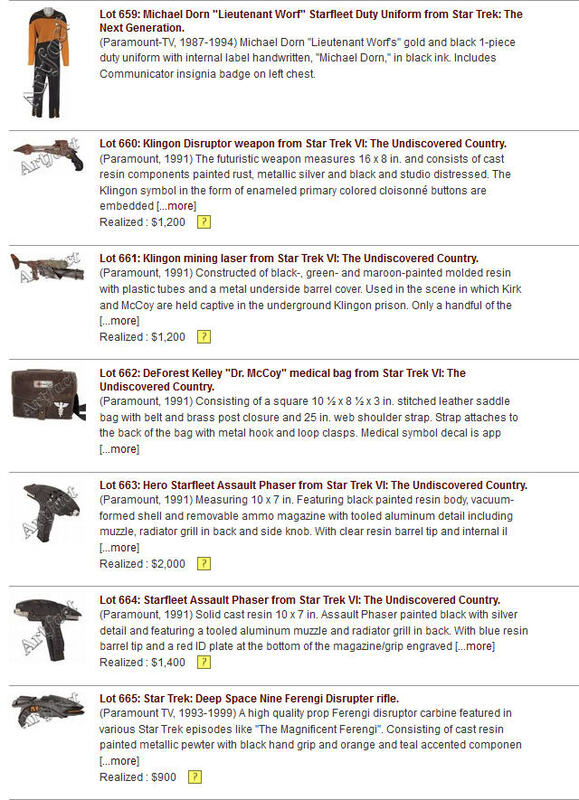 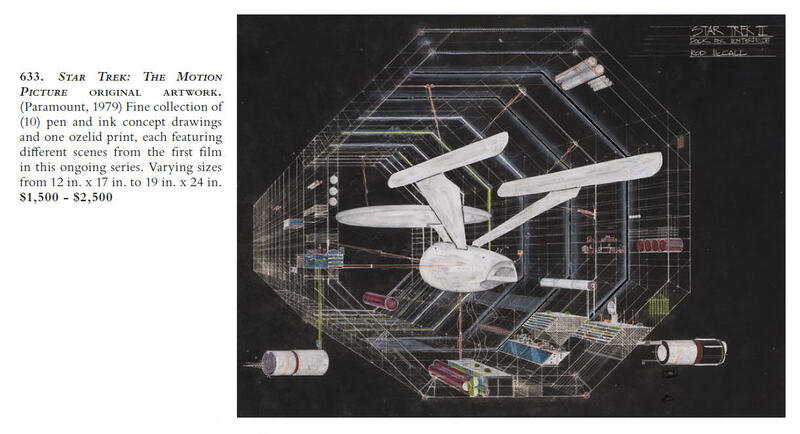 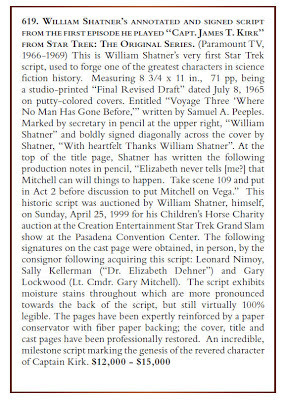 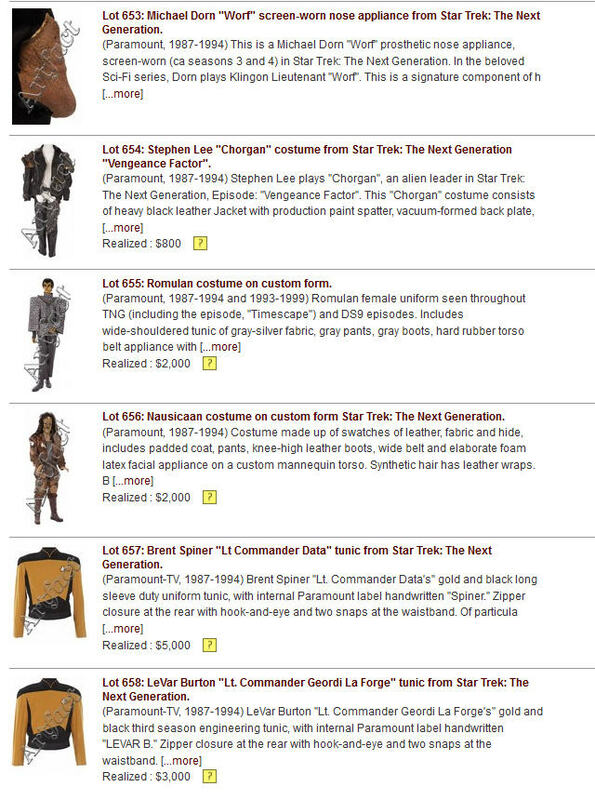 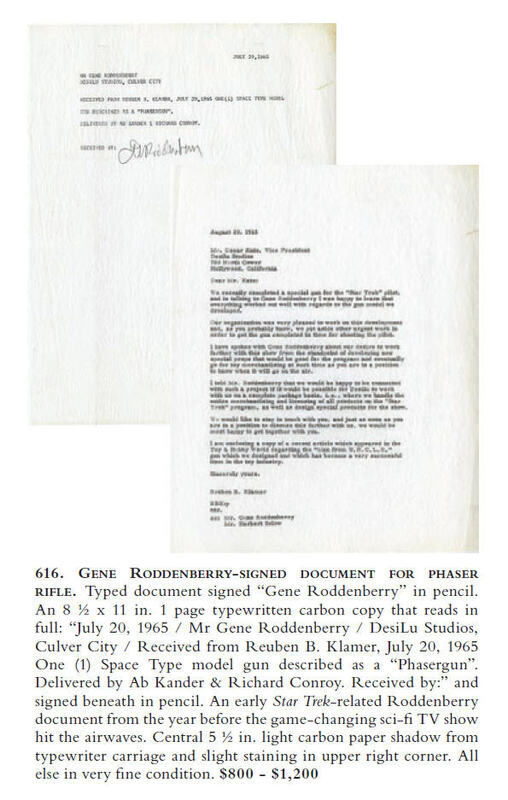 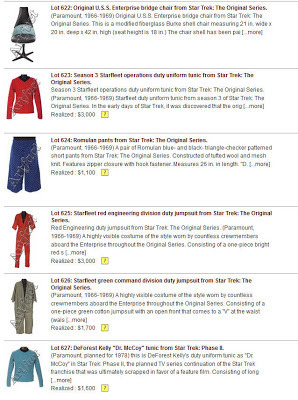 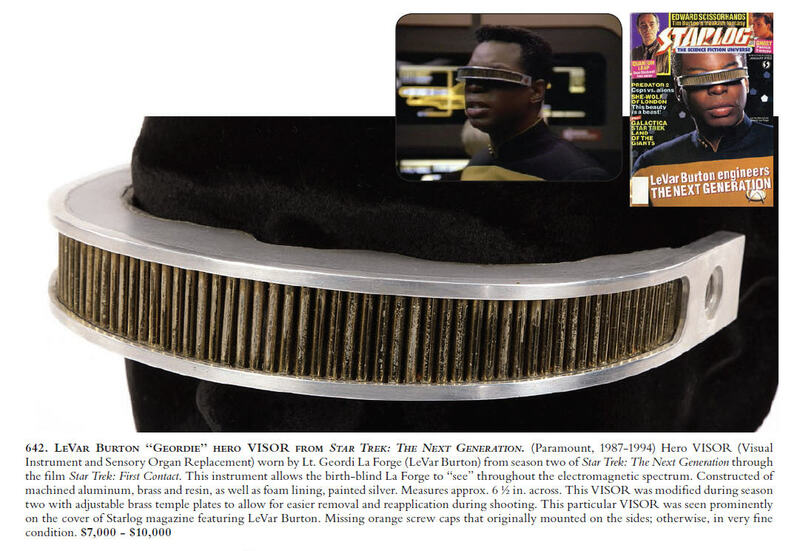 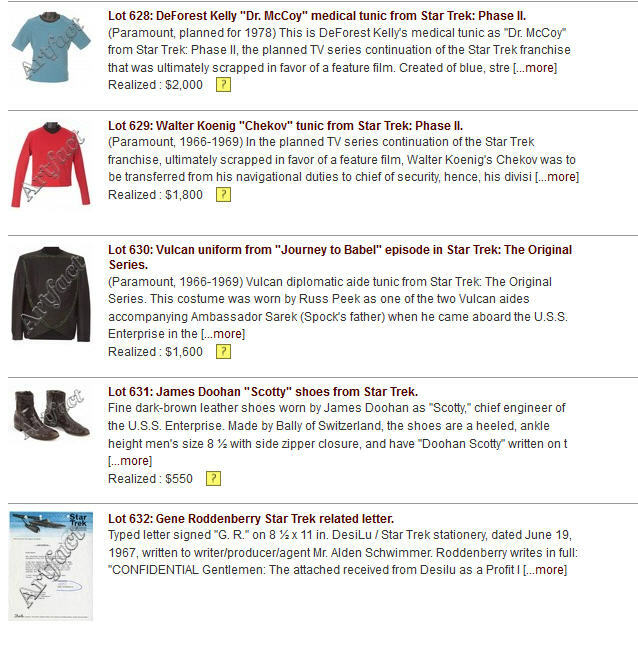 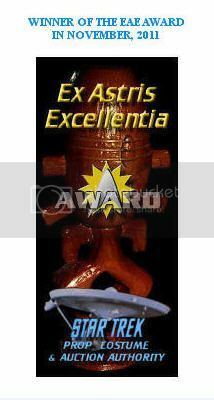 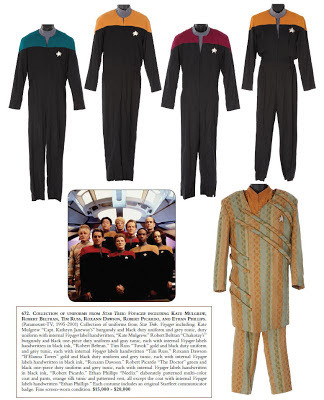 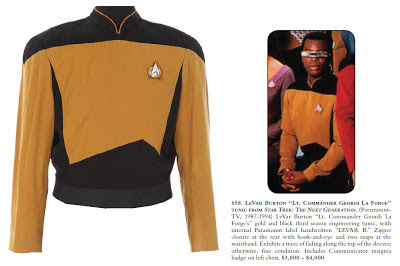 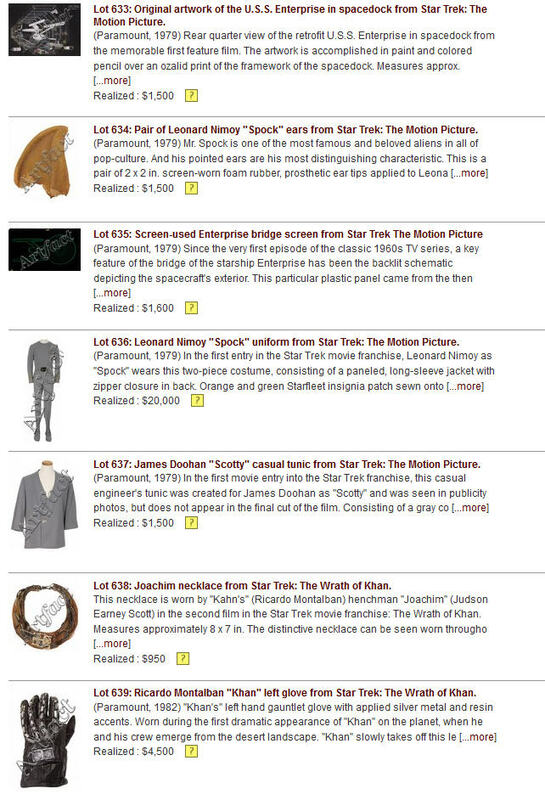 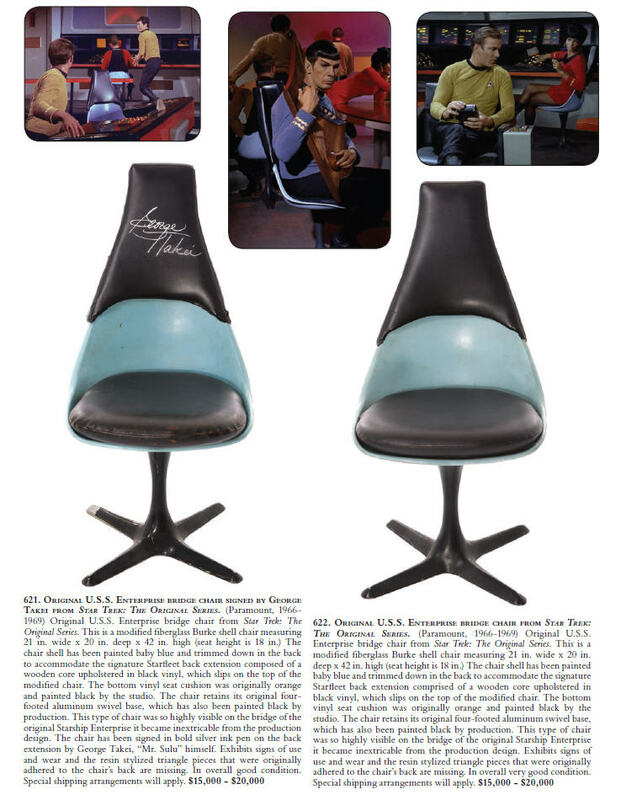 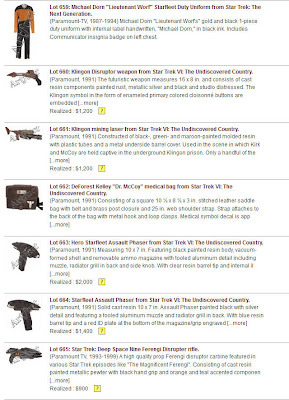 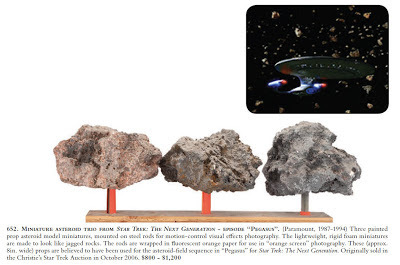 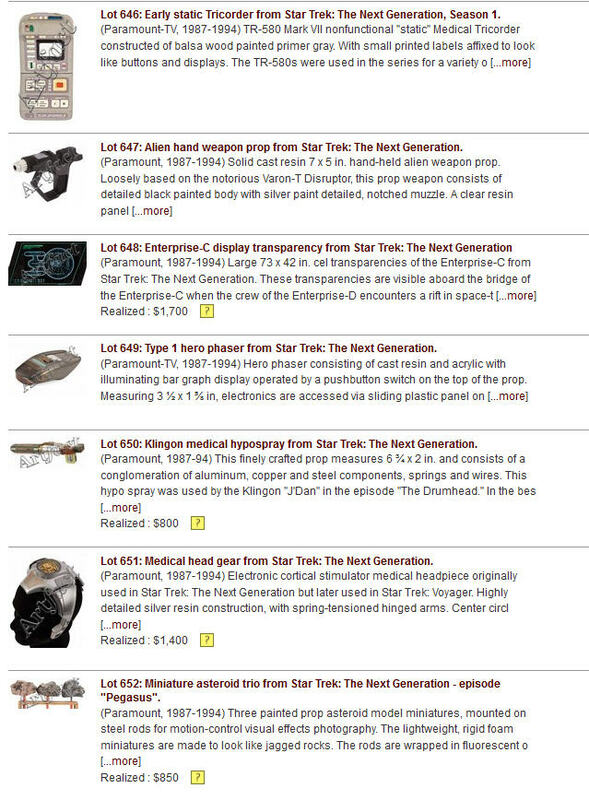 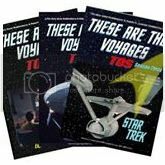 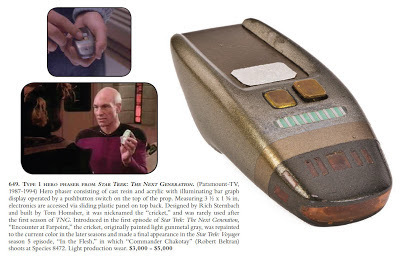 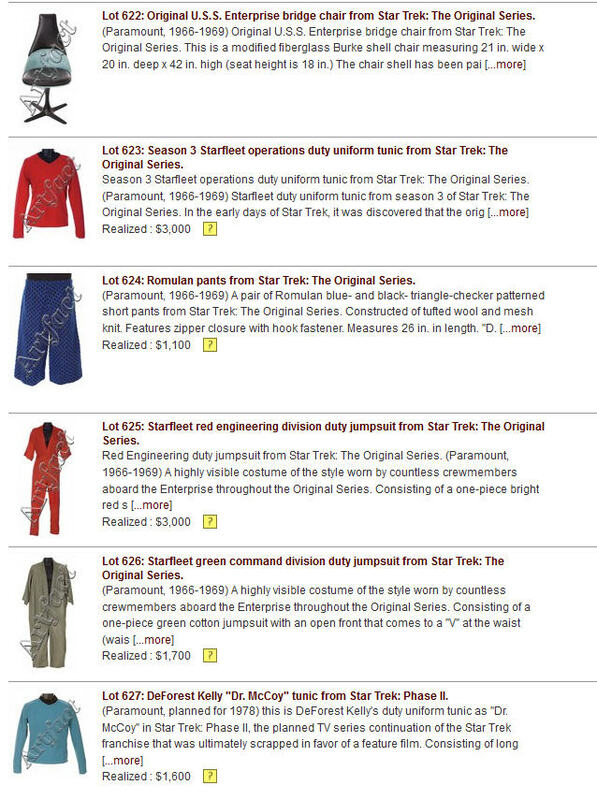 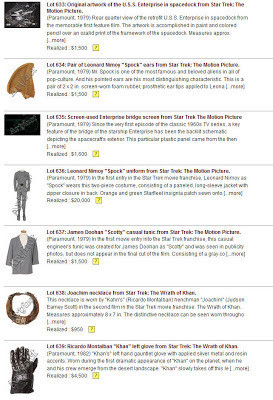 On Sunday, December 16th at 11:00 AM PDT, Session 2 of the Profiles In History Drama, Action, Romance: The Hollywood Auction will take place at Profiles headquarters in Calabasas Hills, CA; featuring a total of 64 lots of Star Trek memorabilia that represent an extremely impressive offering of screen used costumes, props and artwork from many of the feature films and television series in the franchise. 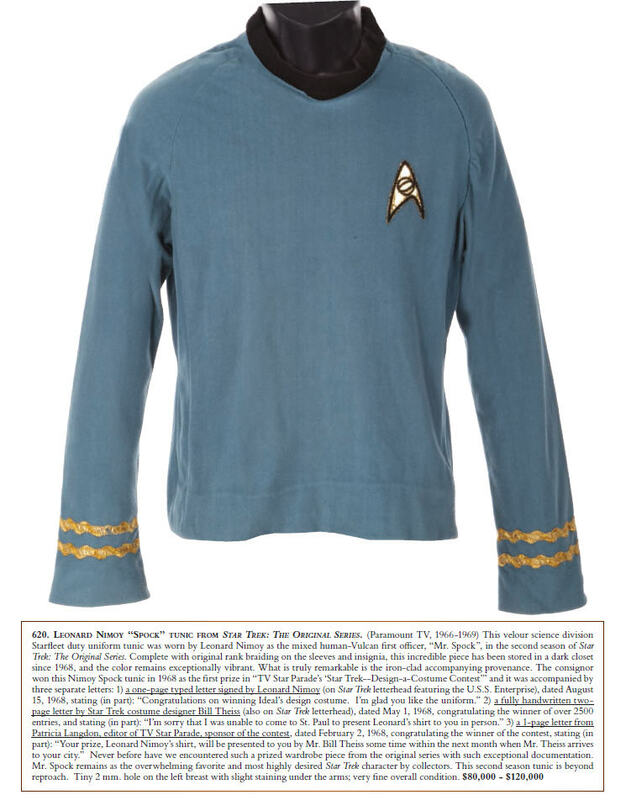 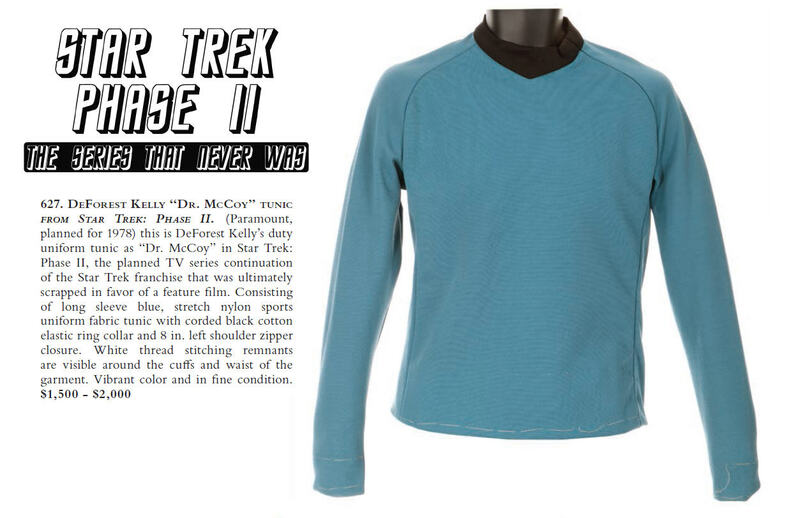 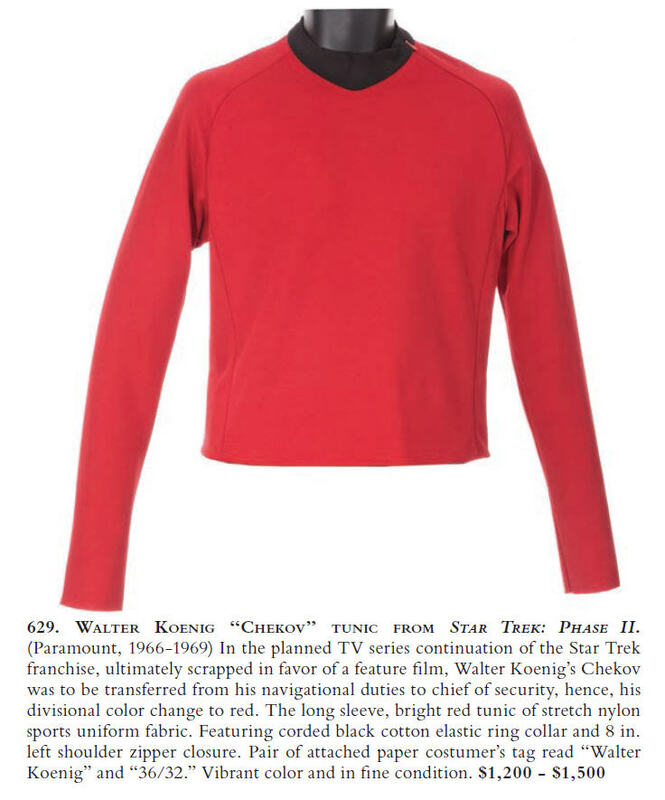 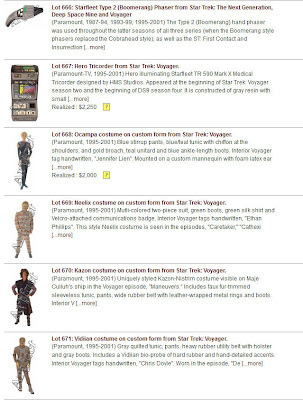 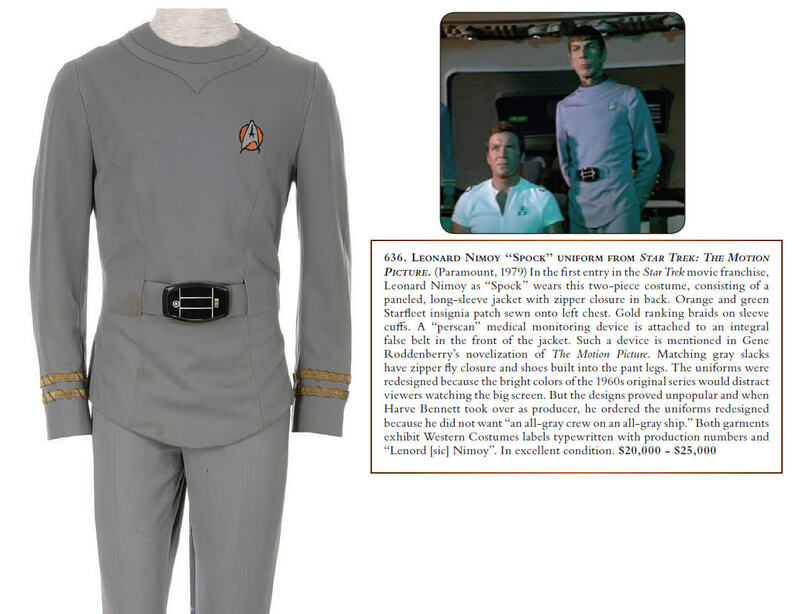 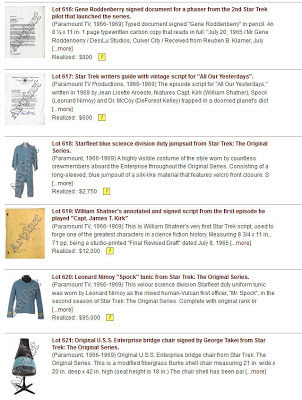 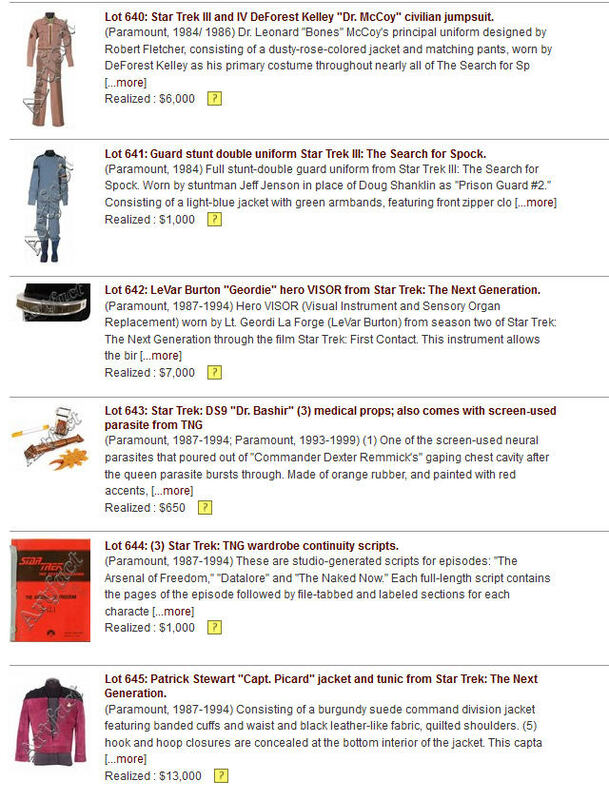 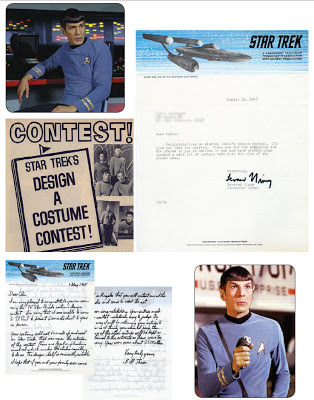 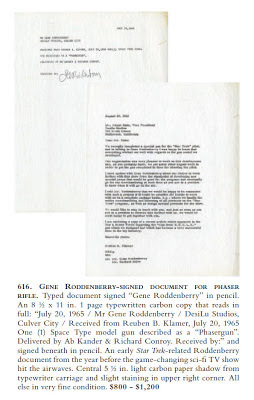 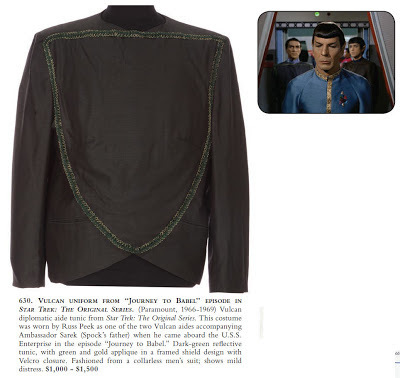 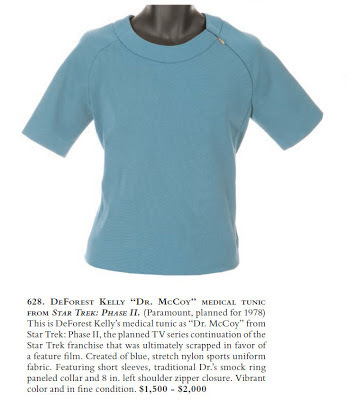 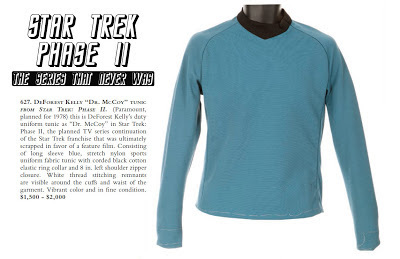 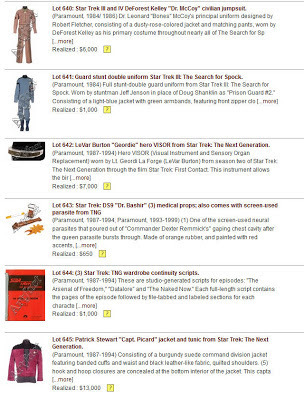 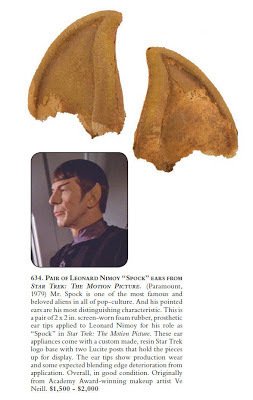 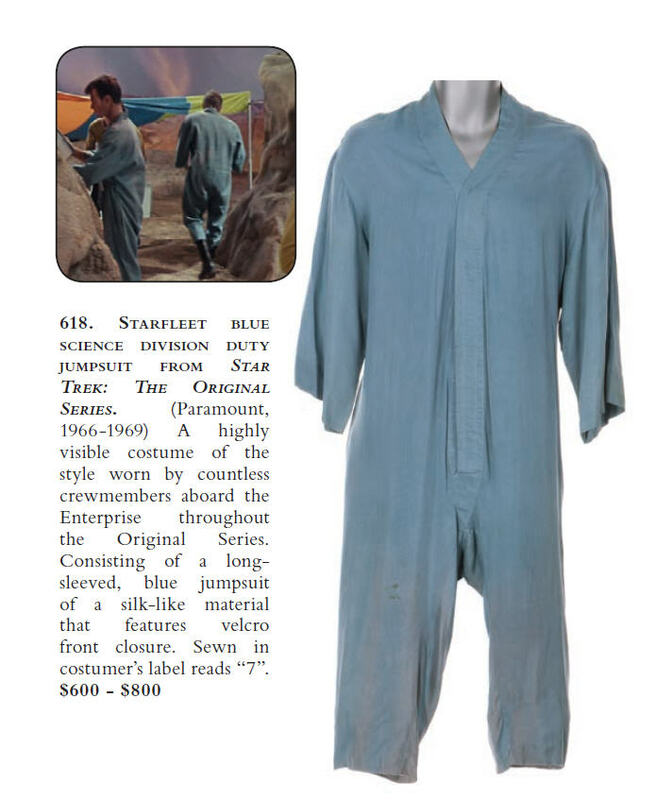 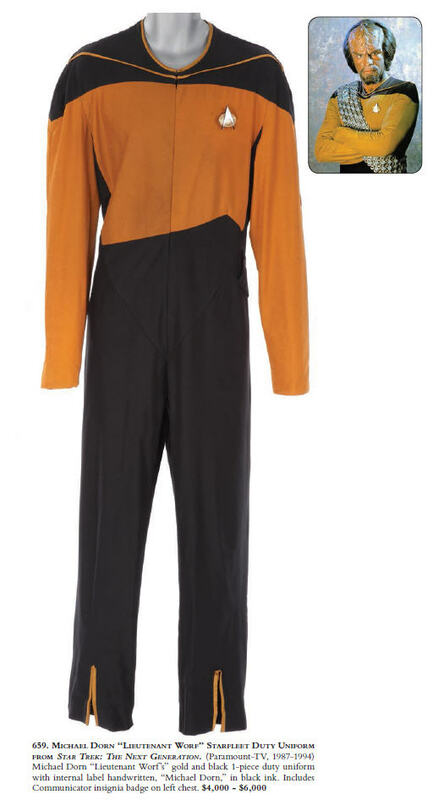 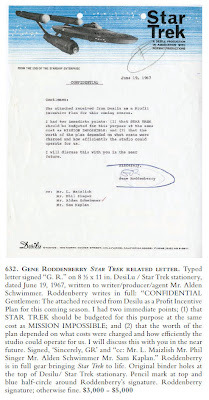 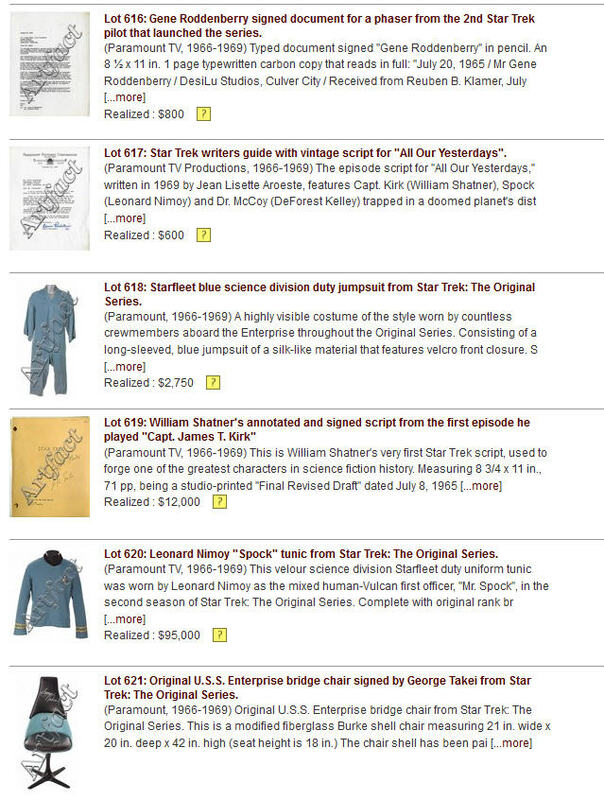 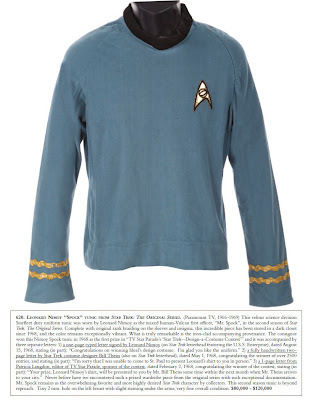 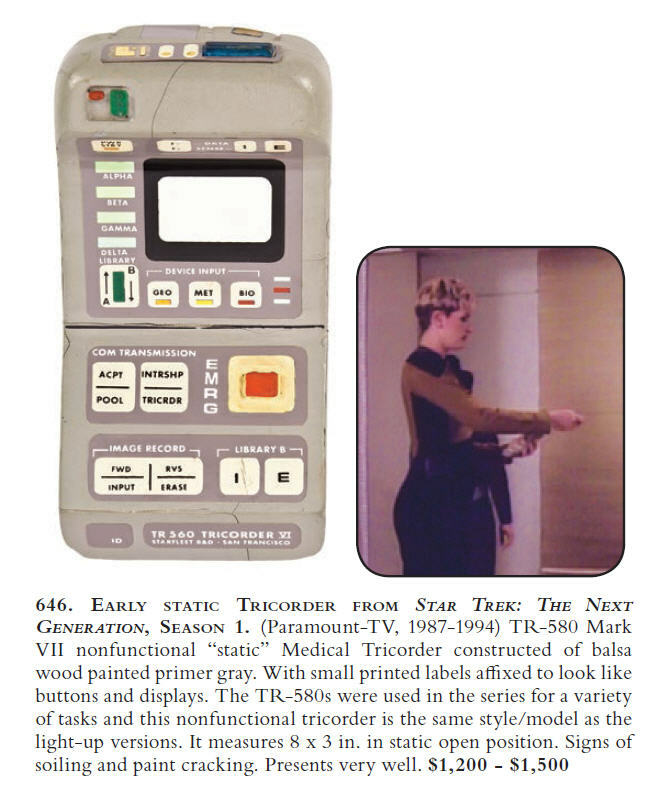 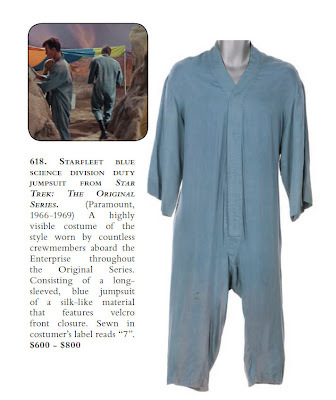 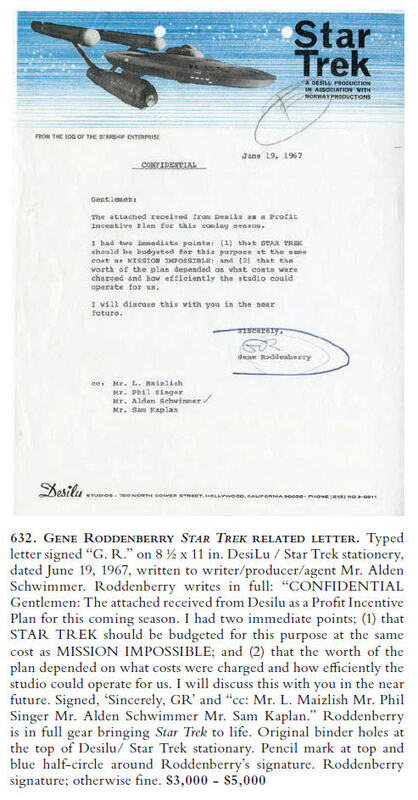 Of particular note is a TOS 2nd season Leonard Nimoy worn Mr. Spock blue velour tunic with full braid and patch estimated at $80,000 - $120,000; a pair of TOS U.S.S. 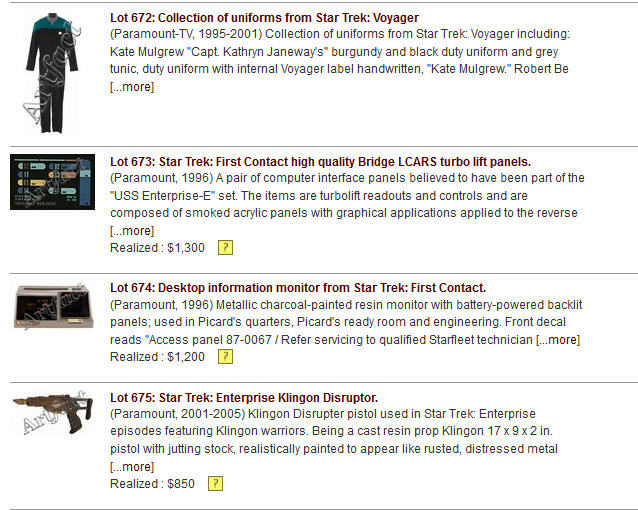 Enterprise Bridge Chairs with estimates at $15,000 - $20,000 each; several TOS one-piece crewman jumpsuits and a selection of Phase II costumes; a Leonard Nimoy Spock Class A Starfleet uniform from Star Trek:TMP valued at $20,000 - $25,000; a Patrick Stewart worn Capt. 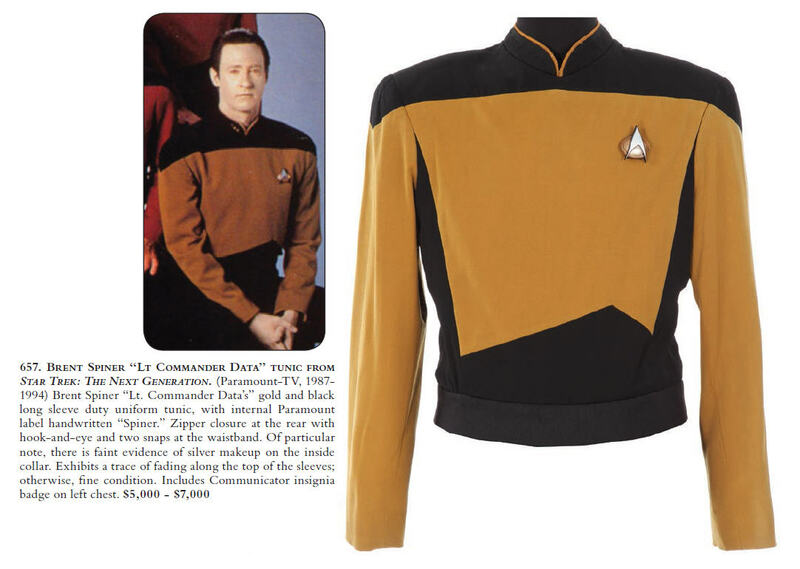 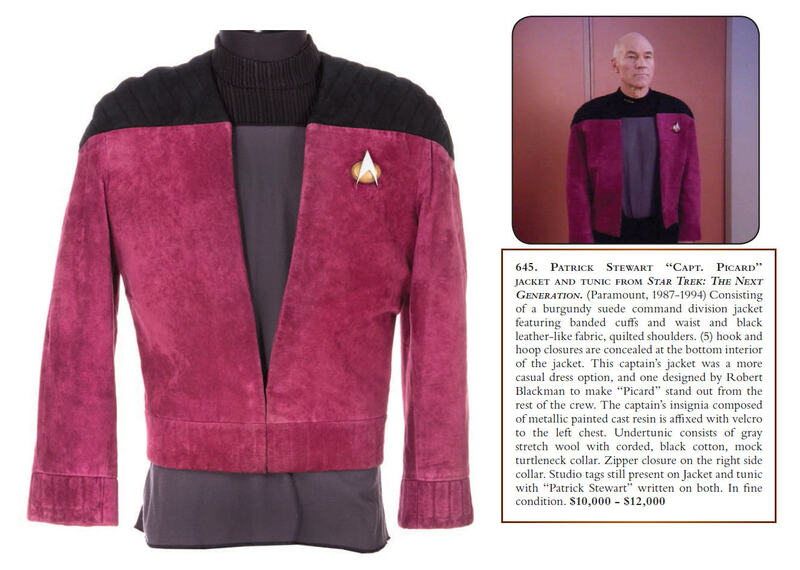 Picard burgundy suede command jacket estimated at $10,000 - $12,000; as well as several key main character costumes from TNG and Voyager.